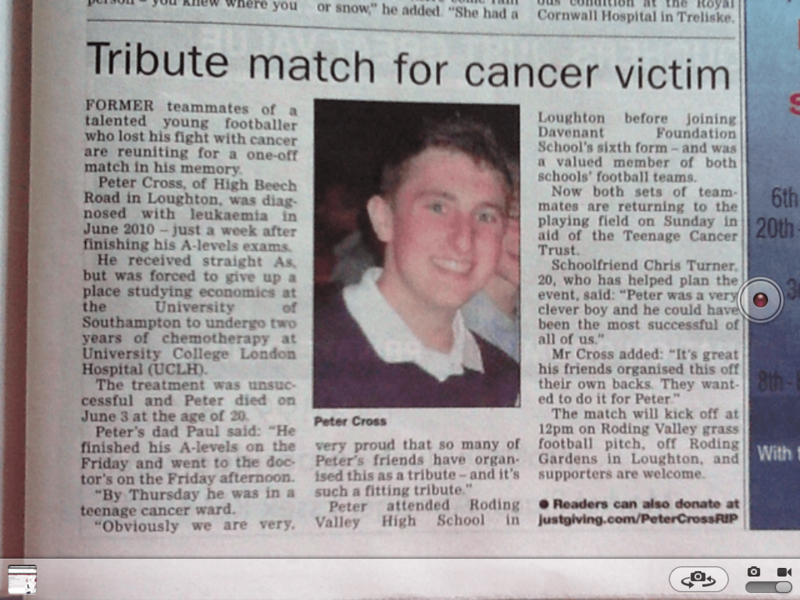 A school friend of CJ’s, Peter Cross died of cancer at the age of 20 and over £3k has been raised so far in his memory for The Teenage Cancer Trust. 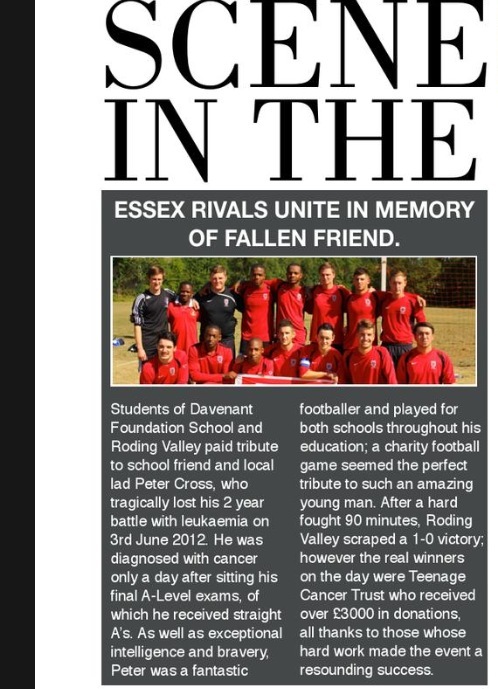 A charity football match took place, featuring of all his old team-mates from both schools he attended. 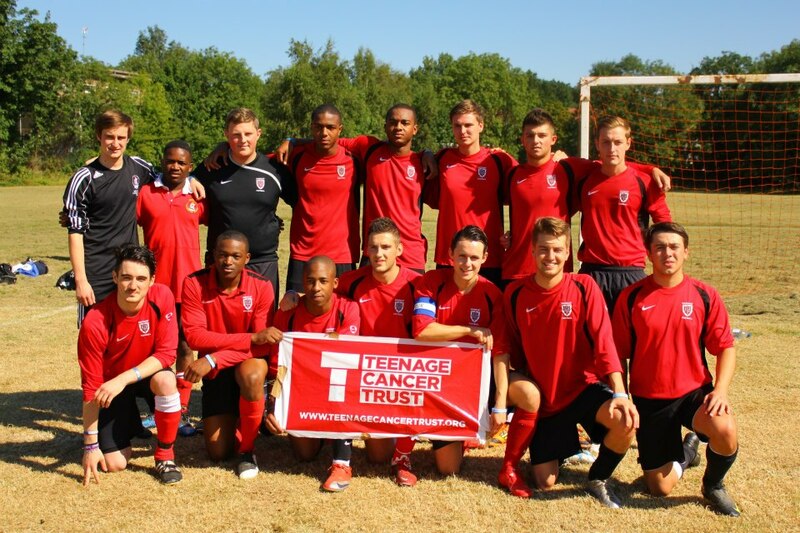 Other events include a signed charity shirt auction with items donated by Tottenham Hotspur and Arsenal Football Club.